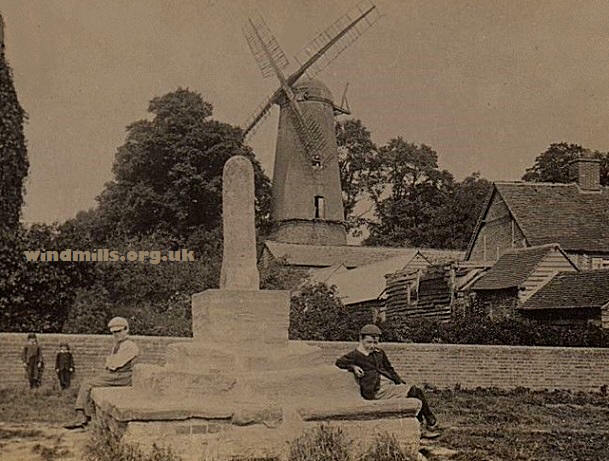 An old photographic image of the mill and the remains of an old cross in Quainton in Buckinghamshire, c.1914. 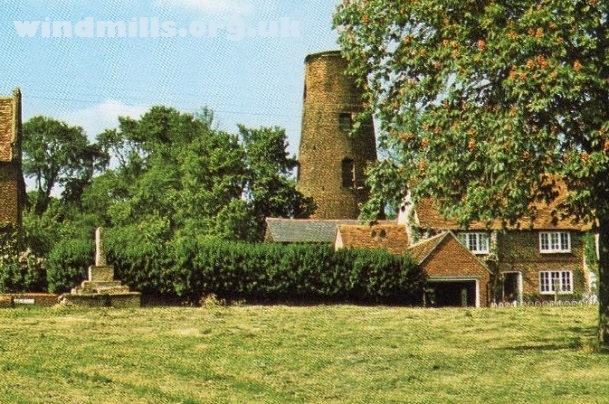 This mill is located in Quainton, near Aylesbury in Buckinghamshire. It is a 20 metre (70 ft) six-storey brick tower mill, first used in 1832. It went out of use around 1890 and in 1914 the steam engine and boiler, which had driven the millstones for the later part of its working life, were sold for scrap. However, the mill has undergone ongoing restoration since the mid 1970s and now has all the internal workings to enable it to grind wheat into flour. The mill is privately owned but open every Sunday between 10am and 1pm from March through to the beginning of October. 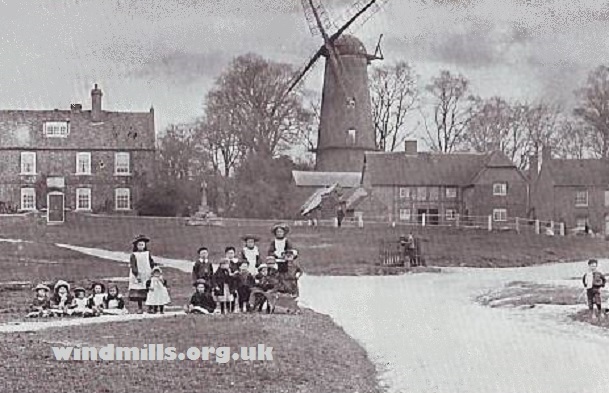 The mill with children on the village green in Quainton, Bucks. This was taken in 1905. A photograph of the windmill prior to restoration around 1970. Notice that the cap, fantail, and sails are missing. This entry was posted in Old Images, Windmills and tagged Aylesbury, mill, Quainton, windmill on September 9, 2015 by windymiller.